Have you decided to get yourself a robotic vacuum but you can decide between the Roomba 618 vs 650? These two models are identical apart two key differences. The 650 has a 7 day scheduling feature whereas the 618 has no scheduling feature. The 650 ships with a virtual wall and the 618 doesn’t. Let me just explain these differences a bit more. Firstly the scheduling. The video above takes you step by step through the process of setting up a schedule on your Roomba 650. You can set the device to clean once per day, up to 7 days per week. But, if you don’t want to watch the video, I have written a step by step guide below. In order to create a schedule, you need to have set the time. Creating a schedule takes 5 simple steps. Press the schedule button and then press the “D” button to select the day. Keep holding the Schedule button and then press and hold the “H” button until your preferred hour is shown. Release the “H” button. Keeping holding down the Schedule button and then press and hold the “M” button until your preferred minute is shown. Release the “M” button. Repeat steps 1-3 until you have completed your schedule. Remember throughout this process keep holding the schedule button down! Once you release the schedule button, the Roomba will chime. The Roomba 618 has no scheduling function and so the only way that it can clean is when the “start” button is pressed. A virtual wall is a way from stopping a robotic vacuum from entering a specific area of a room. 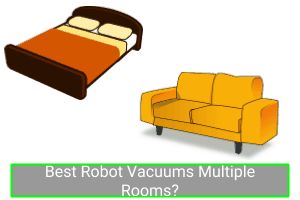 Vacuums in the Roomba 500 and 600 series have a separate device that creates a virtual wall. Virtual walls are created by a machine that looks a bit like a small, solid black flowerpot. The wall is just an infrared beam that the Roomba knows not to cross. Virtual walls are very useful devices for Roomba owners to own. They can be used to block off areas such as an area of the living room that is too cluttered or an area of your office that is full of cables. You can even protect your family pets from a robot vacuum by restricting access to a place where your dog normally sleeps! Having looked at the two ways in which the 618 and 650 are different, let us now focus in on the great features that they have in common. There is very little difference in terms of design and size between any Roomba models and I don’t think that there is much to say. The 618 and 650 are designed to be able to be thin enough to fit under chairs and sofas in order to clean in more spaces. These vacuums will vacuum for up to 60 minutes on a full battery. But these times were calculated for Roombas that were only being used on hard floors and not on carpets and so that is something that you should bear in mind. 60 minutes is not that long. 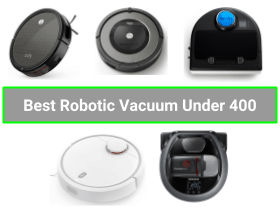 Other robot vacuums that cost about the same have longer running times. But the batteries in the 618 and 650 only take 3 hours to fully charge from empty and that is fast compared to other competitors. This is the ability of a robovac to make its own way back to its recharging dock when its battery is running low and both of the models in this comparison have this feature. This is the ability of a vacuum to continue cleaning after it “auto charged”. Neither the 618 or the 650 can do this. This is a feature that only comes with more sophisticated models that use mapping technology as a means of getting around. 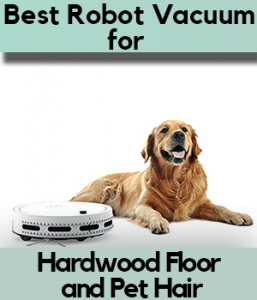 These Roombas can clean on a range of solid floors (wood, tile or laminate) and they can also clean very well on even high pile (thick) carpets. 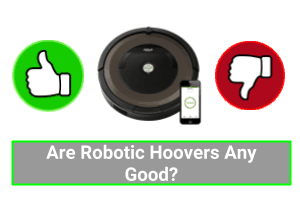 This is one of the strengths of Roomba models compared to their competitors. Other robovacs recommend that their machines are only used on low pile carpet. The 618 and 650 are both equipped with sensors that detect the type of surface that they are travelling across and adjust the suction and the speed of the brushes accordingly. Cleaning carpet takes the most amount of power. 3 stage cleaning is a very fancy way of describing the cleaning action on all Roombas. The side brushes sweep dirt from the edges, the central brush pulls debris from the floor before the powerful suction deposits it in the bin! Sensors detect areas that are “dirtier” than other areas allowing the Roomba 618 and the 650 to spend a bit longer cleaning those areas. The central brush, side brushes and suction functions were all discussed above. These Roombas do not have a mopping function and the Roomba filters are called AeroVac. These filters aren’t HEPA filters by all accounts, although if you want to buy some HEPA filters that are compatible with the 618 or 650 go here. Like all models in the Roomba 600 series, these two vacuums use a very simple set of rules to move around rooms. The procedure is also called the Roomba bounce and it means that these robots travel in a straight line until they hit an object. Once this happens they rotate in a random direction and set off in another straight line until they hit the next object. These two automatic vacs are fitted with sensors that can detect when they are approaching a “cliff” and stop the devices. It is a very funny way of describing the technology that will stop these robots from falling down a set of stairs. Virtuals walls were discussed at the beginning of this article in lots of detail. Mapping is the navigational technology used by cutting edge robotic vacuums. Neither the Roomba 618 or 650 use mapping. Mapping vacuums use a combination of a camera and lasers to create a detailed map of the home that they are vacuuming. These robovacs move in completely different ways to models that use an anti collision system. Since they do not collide with obstacles as often, they are much more efficient. If you want to know more about the best Roomba that has “mapping” skills, check this out. Or, if you would like to compare a range of “mapping” vacs, read this. Both of the models in this comparison have one touch cleaning. This means that after you touch the “start” button the device will start cleaning. Neither of these models can connect to WiFi. This means that they cannot be controlled by using the Roomba app on your smartphone. Quite surprising, neither of these models uses a remote control, as in the kind that we use to control our TVs. As was discussed at the beginning, only the Roomba 650 has scheduling. Neither of these two Roombas are compatible with digital assistants such as Amazon’s Alexa and the Google Assistant. Neither are they compatible with other popular smart home systems such as Wink or SmartThings. 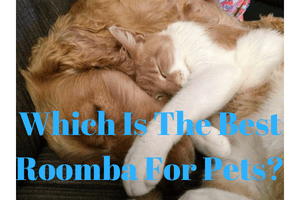 And so which is the better automatic vacuum, Roomba 618 vs Roomba 650? I think that the best vacuum is the Roomba 650 because of the scheduling. 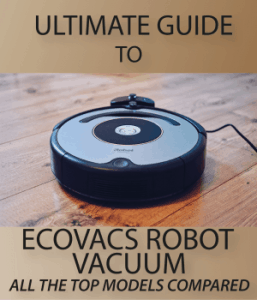 Robot vacuums are designed to make our lives easier and I think that a robot vacuum that has no scheduling facility is a bit limited!